2 YRS Ningbo Targetlife International Trading Co., Ltd.
1. We will try our best to reply to you within 12 hours, normally a lot sooner. 3. All the products have installation drawing for quick and easy assembly. 5. All the prices of the products are subject to our final confirmation. 2 YRS Zhejiang Kejie Houseware Product Co., Ltd.
We&rsquo;d like develop global market with our esteemed customer, and create a bright future. ,ltd has specialized in developing, manufacturing and marketing the outdoor leisure products. Q: Is there any stock for immediate delivery A: 1.Yes,dozens of camping chairs on stock. 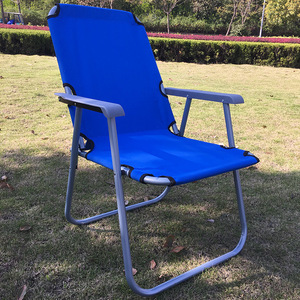 Sailing Patio New Design Folding Beach Chair Armchair With Cup Holder Sailing Patio New Design Folding Beach Chair Armchair With Cup Holder Hot Sell Products Click on the picture for more information Folding C hair Description: L2035 Folding Chair Size: 65X80X50/93cm Tube: 14.5mm,17.5mm,21mm,Steel,powder coating Cover: rip stop polyester with PVCcoating+mesh, Packing:1pc/Carrybag Detailed Images Detailed Images Fold Up Folding Chair Portable Photo Show: Click for More Information!!! Color Swatch Factory View R&D Service Click for More Information!!! 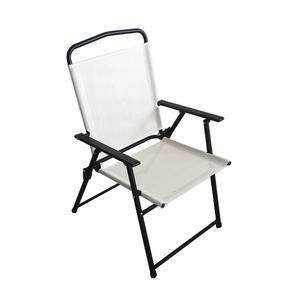 Folding armchair with cup holer and carry bag. 2 YRS Wuhu Zhongrui Imp. & Exp. Co., Ltd.
10 YRS Foshan Sunstar Imp. & Exp. Co., Ltd.
3. Do feel free to contact us if you have any problems in installation or other technical issues. We will try our best to solve any problems you meet during the cooperation process. Feedback 1. Buyer&rsquo;s early confirmation will be highly appreciated after receiving the item. 1 YRS Yiwu Nomade Outdoor Products Co., Ltd.
Q2. How do you control the products quality9 A: We check the products one by one before do the bulk packing. Q4. 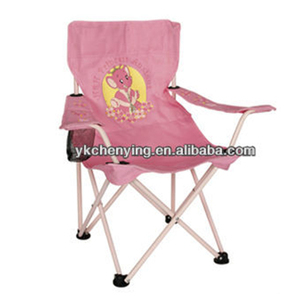 Do you supply free folding kids' armchair sample9 A: Yes, we supply one free folding kids' armchair sample for checking. Q5. How much time to make samples9 A: Usually it will take 4-5days to make new samples. 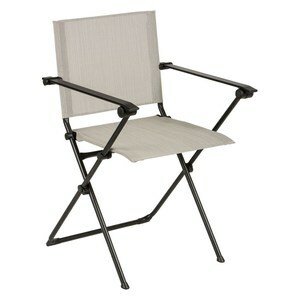 Staying up on your feet all day while trekking is taxing, therefore these chairs are a lifesaver. &middot; Share with ideas for marketing products and consulting for production . &middot; Good work team to win the market in your country,can be good sourcing agent in China. 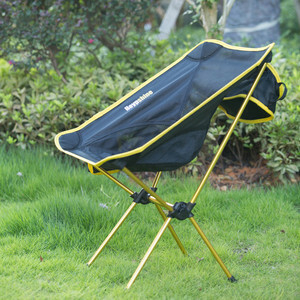 Alibaba.com offers 4,737 folding armchair products. About 31% of these are beach chairs, 26% are metal chairs, and 3% are living room chairs. 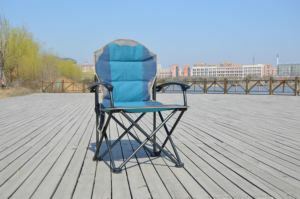 A wide variety of folding armchair options are available to you, such as fabric, metal, and wooden. You can also choose from beach chair, dining chair, and living room chair. As well as from fishing chair, moon chair, and leisure chair. And whether folding armchair is yes, or no. 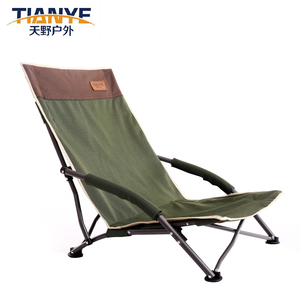 There are 4,737 folding armchair suppliers, mainly located in Asia. 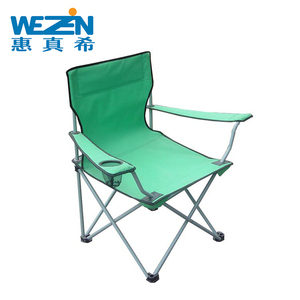 The top supplying country is China (Mainland), which supply 100% of folding armchair respectively. 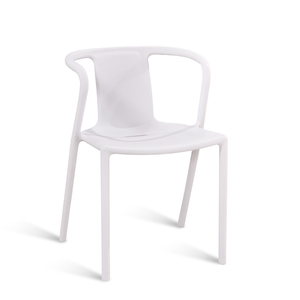 Folding armchair products are most popular in North America, Western Europe, and Eastern Europe. You can ensure product safety by selecting from certified suppliers, including 841 with Other, 715 with ISO9001, and 362 with ISO14001 certification.